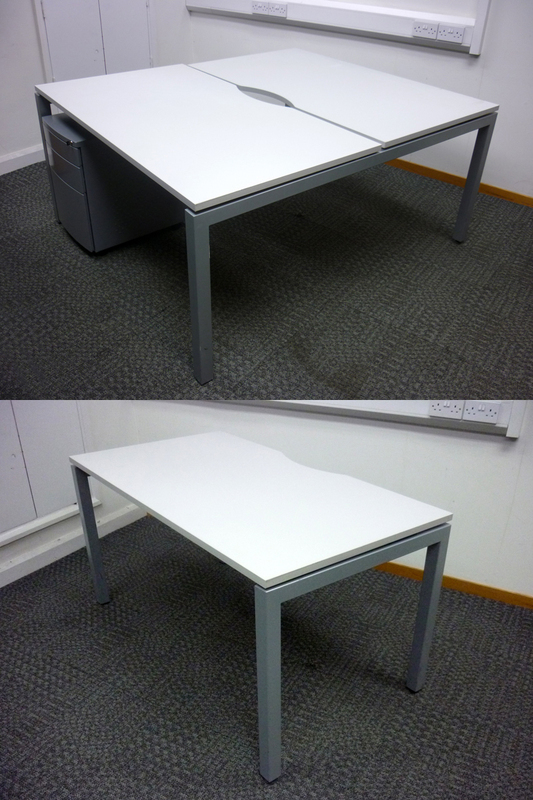 1400x800mm tops, 1400x1600mm total - £180+VAT - 7 pairs available. 1400x800mm - £100+VAT - 7 available. 25mm thick tops with scalloped cut out for cable access. 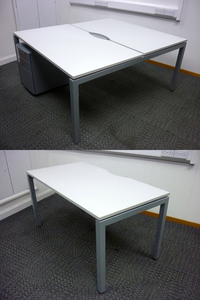 Silver metal desk under pedestals available - £35+VAT each. Good condition and very solid.